Brett McGurk, former US special envoy for anti-ISIS coalition, says Trump has "no plan" for what comes after forces withdraw from Syria. 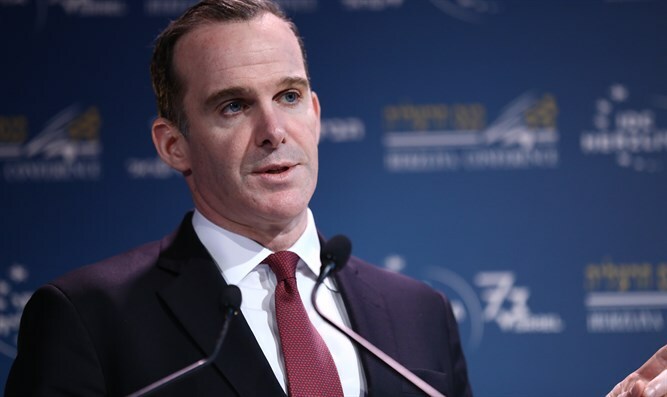 Brett McGurk, the former US special envoy for the global coalition to counter the Islamic State (ISIS), on Sunday claimed that President Donald Trump has "no plan" for what comes next once the American forces are withdrawn from Syria. McGurk submitted his resignation last month following Trump's surprise decision to pull US forces out of Syria. Speaking Sunday on CBS’ “Face the Nation”, he warned against the consequences of the decision. "Announcing you’re going to withdraw and without a plan -- and believe me there’s no plan for what’s coming next, right now we do not have a plan -- It increases the vulnerability of our force, it increases the environment on the ground in Syria," charged McGurk. He suggested that Trump went against the overwhelming advice of his national security team in making his decision. "In this case, I think the entire national security team had one view, and the president in a conversation with (Turkish) President Erdogan just completely reversed the policy," said McGurk. "You know the president has said, I think he’s right, you never telegraph a punch when you’re in a military campaign," he added. "You also don’t telegraph your retreat." McGurk warned the decision would put US forces under additional pressure if they are required to manage a withdrawal and finding a new partner to manage the campaign against ISIS in Syria simultaneously. He expressed skepticism that a country like Turkey would be able to fill that role. Since Trump’s announcement of the withdrawal, concerns have been expressed that Turkey will launch an attack against the US-backed Syrian Democratic Forces (SDF), a militia allied to the US-backed Kurdish YPG which has been fighting the Islamic State (ISIS) jihadist group in Syria. Despite the concerns over a potential Turkish attack on the Kurds, Trump argues that Turkey can fill the void left in Syria by America’s departure. “President Erdogan of Turkey has very strongly informed me that he will eradicate whatever is left of ISIS in Syria....and he is a man who can do it plus, Turkey is right ‘next door.’ Our troops are coming home!” he tweeted in late December.